You’re booked to talk to an audience – of 2 or 2,000 – and whether you admit it or not, you’re scared. It could be the clutter of information you’re carrying in your head for weeks before your due to talk. The panic and uncertainty over where to start leads you to putting off making time to think it through until the last possible minute. “I’ll just rework my last one, that’ll be fine”. The cold, clammy feeling you get before you walk on the stage. Let me help you overcome that fear and deliver an amazing presentation. Well, if you’ve been asked to talk to an audience then you’re there for a reason. And because the people who invited you think you’ve got something to say. It’s my job to help you become the presenter that creates such an impact that your audience can’t help but be enthused. The kind of speaker who gets asked back. And who looks forward to it. We can look at context, content and creativity. 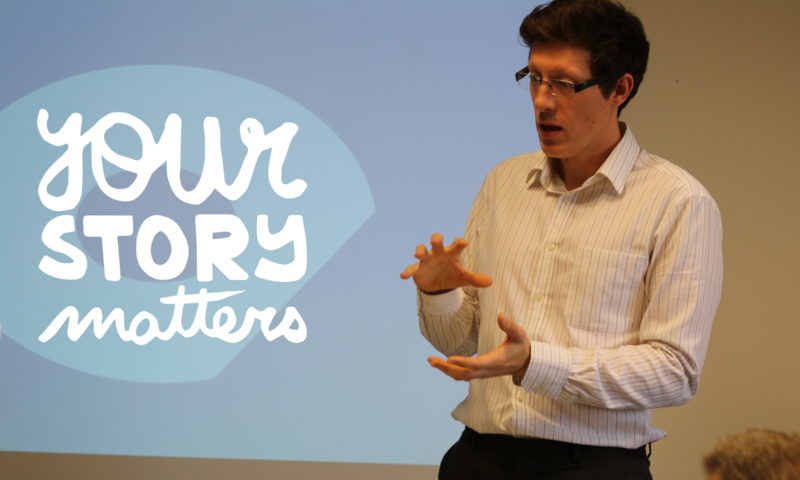 There’s great stuff to share on the way stories work and how story formats can make your talk completely memorable. We can spend time really honing your delivery. Then there’s the supporting material (like slides and props) as well as practical stuff like the venue and technology. You might also prefer to come to a workshop and develop in that group setting. How does 1:1 coaching work? By creating a bespoke programme based around your need, we’ll bring clarity to your message, reduce the noise and provide a clear talk that will inspire the audience to take action. You need to be up for putting the work in, but together we’ll do it. You’ll be ready, prepared and energised. And your audience will thank you for sharing your ideas, your stories and your authenticity.